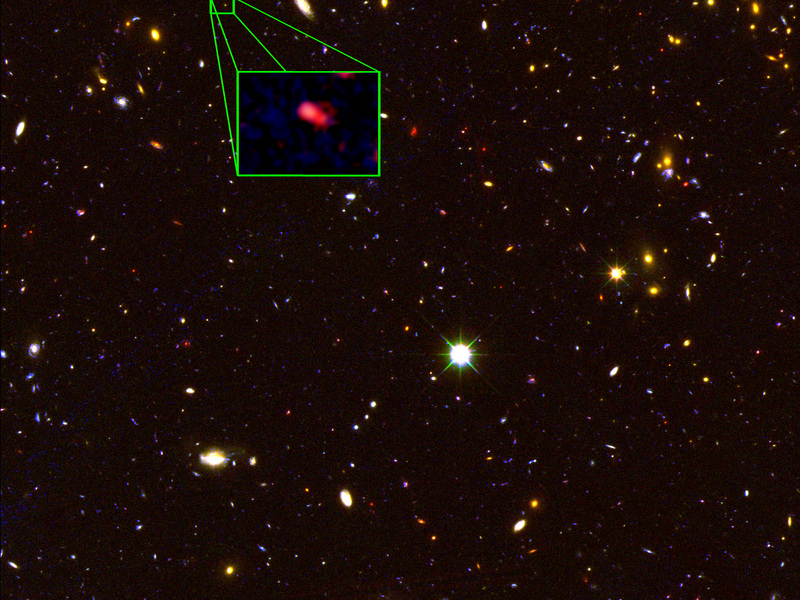 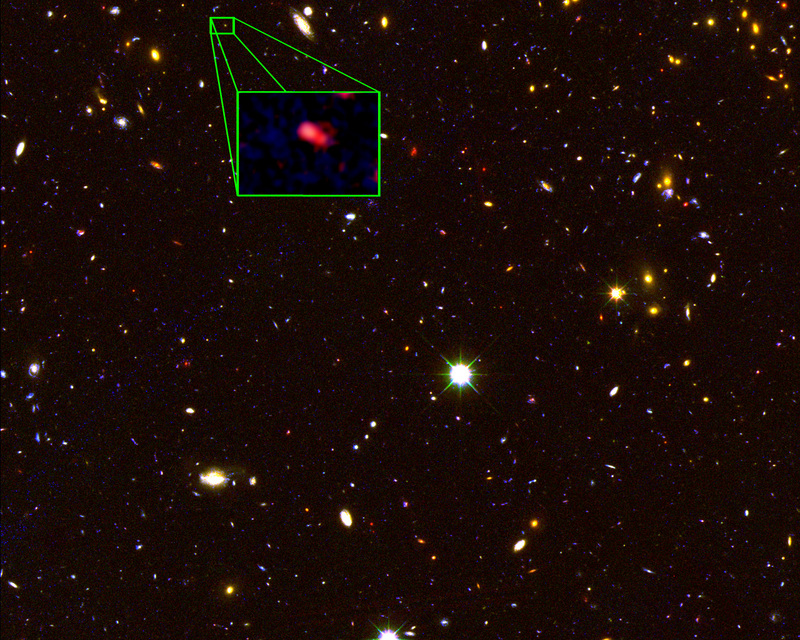 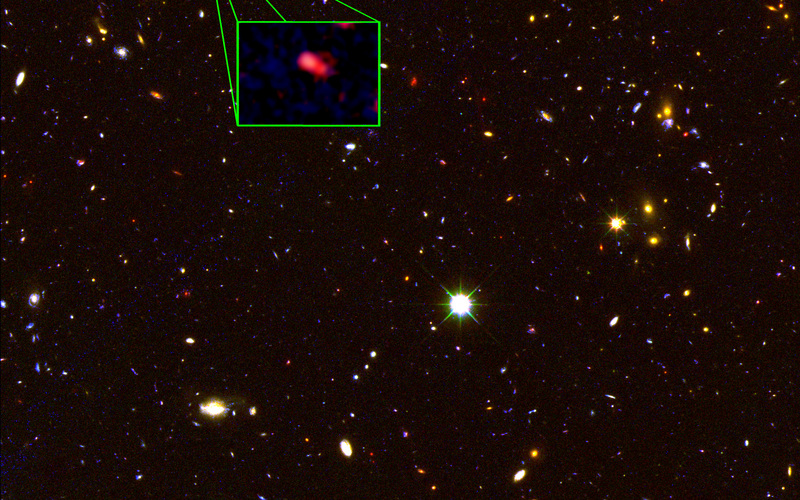 This image from the NASA/ESA Hubble Space Telescope CANDELS survey highlights the most distant galaxy in the Universe with a definitively measured distance, dubbed z8_GND_5296. 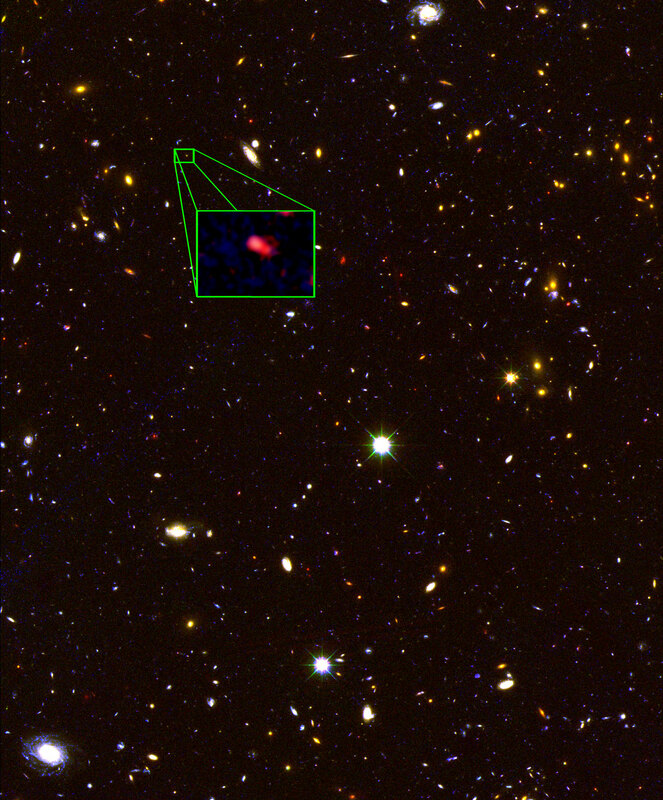 The galaxy's red colour alerted astronomers that it was likely extremely far away, and thus seen at an early time after the Big Bang. A team of astronomers measured the exact distance using the Keck I telescope with the new MOSFIRE spectrograph. They found that this galaxy is seen at about 700 million years after the Big Bang, when the Universe was just 5 percent of its current age of 13.8 billion years.